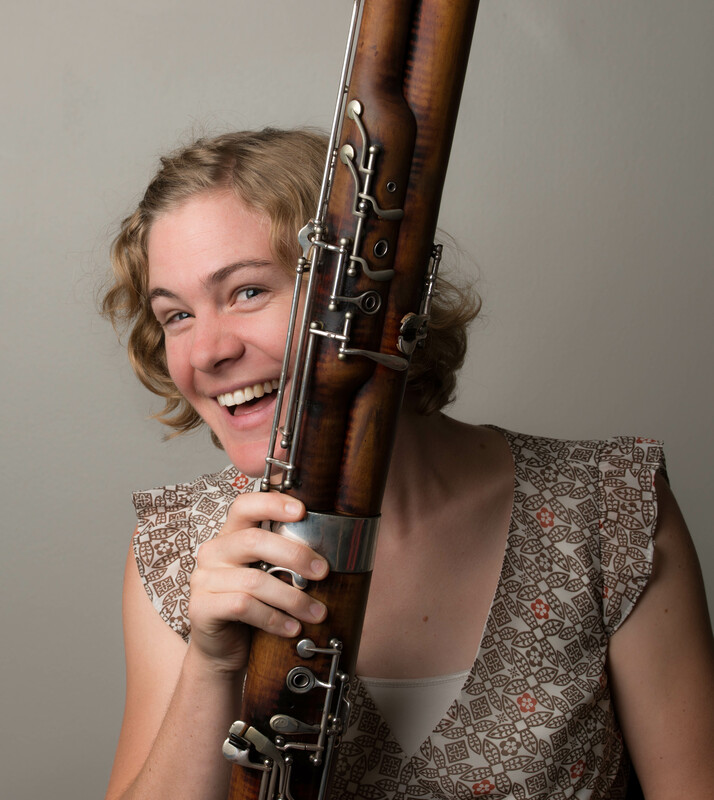 California native Dr. Stephanie Willow Patterson is a bassoonist with a passion for collaboration, outreach, and contemporary music. She is the Assistant Professor of Bassoon at the Schwob School of Music at Columbus State University and the Principal Bassoonist of the Columbus Symphony Orchestra, Columbus, GA. As a member of the Enid Trio, she performs across the country, reaching out to young musicians to share their love of innovative music and education. She has previously taught at Wichita State University. Stephanie performs and teaches at the Festival Internacional de Música Colonial Brasileira e Música Antiga in Juiz de Fora, Brazil, and is a founding member of the Woods, Winds, and Willows Chamber Orchestra. She has been invited to perform at the Fairbanks New Music Festival, the Sonorities Festival in Belfast, Ireland, the IHearIC music series, and the Meg Quigley Vivaldi Bassoon Symposium. She has been a member of the Wichita Symphony and Wichita Grand Opera, the Fairbanks Symphony and Arctic Chamber Orchestra, and has performed with the Tulsa Symphony Orchestra, Waterloo/Cedar Falls Symphony, Orchestra Iowa, and the Quad-Cities Symphony. She has also performed with the Iowa City Jazz Vespers group and the Wichita-based free-jazz Bodo ensemble. Her primary bassoon gurus have been Professors George Sakakeeny, Nicolasa Kuster, Scott Oakes and Benjamin Coelho though she has also dabbled in improvisation under the direction of jazz bassoonist Paul Hansen, and studied in St. Petersburg, Russia with Igor Gerasimov. She holds degrees in music and Russian language from the Oberlin Conservatory and College, Wichita State University, and a Doctorate in Musical Arts from the University of Iowa. Her dissertation project, An Introduction to Contemporary Music for Bassoon and 64 Etudes is available through Trevco Music Publishing. Stephanie has attended the Lucerne Festival Academy, working under conductors Peter Eötvös and Pierre Boulez, and the Aspen Music Festival under the batons of Marin Alsop and David Zinman. Stephanie frequently collaborates with composers to create new works for bassoon. Recently she has worked with composers Xinyan Li, Durwynne Hseih, Lewis Nielson (Oberlin), Brian Penkrot (Northern Illinois University) and Aleks Sternfeld-Dunn (Wichita State University). She organized the first season of the Wichita State University New Music Concert Series in 2008-2009. In 2013 she organized and performed in the Iowa Celebration of Women Composers, a concert featuring new works by women including brand-new pieces by Katherine Murdock and Stephanie Pieczynski. Crossing genres with performances in costume, she has performed Michael Daugherty’s Dead Elvis at the Wichita Knob Festival at the FischHaus art gallery, and In Freundschaft by Stockhausen for bassoon-playing teddy bear. She has performed in Carnegie Hall, on the busy streets of Moscow, on the pedestrian malls of Madrid, in the gilded Kappella hall in St. Petersburg, inside a medieval church in Prague, for low-income afterschool programs in Alaska, with Pierre Boulez at the Kunstmuseum Luzern, atop a gallows at the Massachusetts Museum of Contemporary Art, in a room with speakers on all sides and below the audience, and in the mountains of North Carolina.